Heli Ski Week - Cordova, Alaska - Points North Heli-Adventures, Inc. 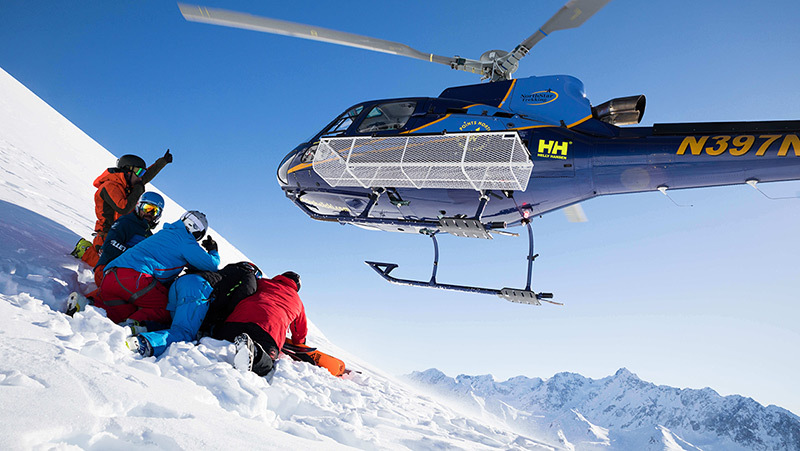 Points North Heli Adventures is the only heli-skiing operation utilizing the southeastern side of the Chugach Mountains. 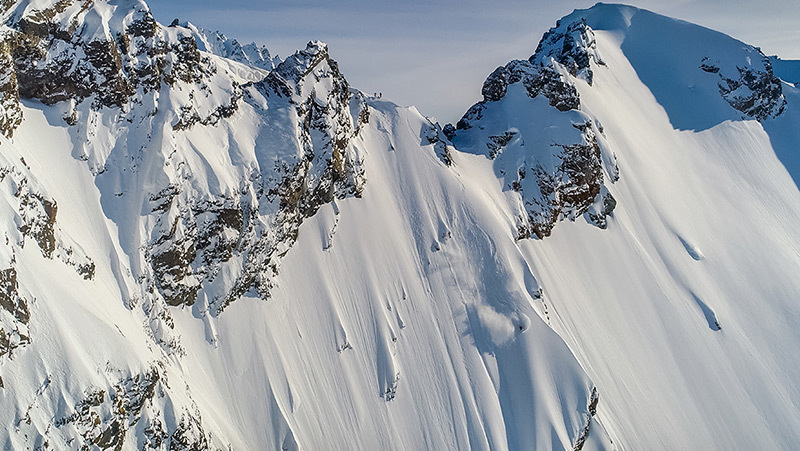 Over the past decade, the Chugach Range has proven to be the premier destination worldwide for helicopter skiing and boarding. Accessed by ferry or plane, Cordova is unlike any other community in the state. Alaska Airlines flies into Cordova twice daily from Seattle and Anchorage. Upon arrival, a PNH team member will greet you and help with your luggage. A short, fifteen-minute drive to our facility offers many opportunities to see bald eagles, moose and the beautiful town of Cordova. Along the way you will also view the breath taking Chugach Mountains that you will soon be skiing or riding. Our base location in Cordova is 40 miles from Valdez and allows us to provide you with a ‘private’ playground in our backyard. While other 5 operations in Valdez share terrain, we are able to explore areas that the others cannot conveniently access. We continue to find new terrain each year catering from the intermediate level recreation skier to the world-class athlete. If you have heard of heli skiing in Alaska, and are already this deep in your research of operators, it is more than likely we have terrain to suit your desires. Our lodging is all-inclusive. Our facility is not a hotel or motel. It is a beautiful state of the art facility located directly on the waters edge. All of our aircraft are a few steps away from your room eliminating the drive to the heli port each day. Everything is located here on the property. All of our meals are guaranteed to make your mouth water and our local chef specializes in fine cuisine. Within the lodge we also offer wireless Internet access, just in case you are thinking of work while on vacation. You are not paying for vertical. You are paying for high quality ski runs! There are no roads or highways that run through the middle of our land. All of our clients fly from our lodge and back to our lodge via helicopter each day. We have multiple fuel caches in the field. You are never on a peak and told to ski to the road for a shuttle bus pick up. An average day of skiing or snowboarding consists of 20-40,000 feet of vertical per day. Most operations sell a vertical package or a 6 run day. At PNH it is very common to obtain 6 runs by lunchtime. Our package includes 4 heli-hours which is generally equivalent to 3 days of flying at around 8-10 runs per day. If in the event you go over your 4 heli-hours, you simply pay as you go. Additional heli-hours will be at a discounted rate of $1,075 per heli-hour. You are priority to fly. It’s not uncommon to come home with 10-14 runs if you are visiting us later in the season when daylight hours are long. Heli times are generally longer in this case. Points North Heli-Adventures is the proud recipient of the new Chugach National Forest Service Special Use Permit for helicopter skiing and riding. Join us this winter and help us name new runs and explore territory we have been working on obtaining for over a decade! 45 days prior to arrival ($3,125 plus $73.50 for tax). ** If in the event you go over your 4 heli-hours, you simply pay as you go. Additional heli-hours will be at a discounted rate of $1,075 per heli-hour. You are priority to fly. *** Saturday’s are change over days. Guests do not ski on their arrival days. Guests are priority to fly on their departing Saturday only if they are on the later flight to Seattle (5pm). 4 heli-hours generally is equivalent to 3 big days of flying. It’s not uncommon for groups to come home with 12&13 run days (if they desire) later in the season, as daylight is longer. 7 nights lodging, per person. This includes ALL of your meals, lodging, many activities, and transportation. Essential gear / safety equipment included (transceiver, harness, shovel, probe and helmet). Due to the high demand for optimum times and helicopter scheduling, no cash refunds will be given. At PNH customer service and your experience in paramount to us. We pride ourselves on providing the best staff, the highest qualified guides, 3 A-Stars helicopters from Northstar Trekking, and lot’s of fun. Upon arrival your trip is paid for, just like upon arrival our season is paid for to ensure top notch service to you, the guest. We can control almost everything except the weather. Thank you for understanding! In the event “no fly days” occur due to weather or high avalanche conditions, you will receive a PNH credit of 50% of your unused flight reservation fee. This is based on 6 days. All credits are available on account for two calendar years toward the use of a deposit for a future trip. There shall be no crediting or refund of the lodging fee due to pre-booked reservations well in advance. We suggest you get travel insurance prior to your trip to cover any unforeseen costs do to trip cancellation. There are NO refunds for injury, sickness or Poor Fitness. Verification of this prior to your trip, the same rules apply as written above. In the event you get hurt in the field, you are responsible for the heli time for rescue and travel to and from base. You are also responsible for the total heli time your group has used for the day. Points North is not responsible for lost bags during your travels. Travel Insurance covers this for you. If you opt to not ski/snowboard for a day before your 4 heli-hours is used, you will be responsible for payment for that day. A spot in the helicopter has been reserved for your trip. We are sold out far in advance. Often times people wish to take a day off from skiing due to being tired from consecutive days. Weather in Alaska dictates when we ski. If its flyable we are skiing and we assume that you are as well. You are responsible for your seat should you choose to take a rest day when we are flying. Helicopter time is not transferable. We recommend Travel Guard Insurance. They are great! Our cancellation and refund policies are absolute. We highly recommend travel insurance for all of our guests. Travel insurance covers you for unexpected cancellations, injuries, lost or stolen luggage and more. It is a very in-expensive price to ensure your trips success. Activities: Many daily activities are included. Our lodging facility is a newly-developed 37-room, two-story lodge on the water’s edge immediately adjacent to your helicopter’s landing pad.